It’s almost every little girl’s wish, to own their own pony or horse but choosing that magical first horse takes more than a mere dream to make it a success. There are many things you need to consider when looking at adding a horse to your family from financial to the amount of time and energy it takes to care for these magnificent creatures. Once you have decided that owning a horse is right for you, then you can go on to looking for the right horse. Finding the right horse is like trying to find a needle in a haystack, a very attractive haystack. By following this series of articles, I intend to show you how to equip a metal detector to help you find that needle that much faster. 1. Who and how will interact with the horse? The first thing you will have to do is determine who you are looking for and what you intend on doing with the horse. If you are looking for a horse for your whole family, consider the most inexperienced rider and look at horses that are at their level. If you are looking for yourself, and you have more experience, you may want a more challenging horse that is better suited to showing than an older school horse. 2. Who’s your support team? The next thing you are going to want to find out is who you can have help you on this journey. Veterinarians, farriers, riding instructors, horse trainers and your local horse club are some of the many helpful people who can give you advice on a well-suited horse. 3. What are the best places to search Horses for Sale? Once you know what you are looking for, and who your support group is, you need to know where to start looking for your new horse. Your support group may have some ideas as far as where you can look or even a specific horse in mind. If they don’t know that is alright, there are many options to look into. There are horse auctions, rescues, training barns, and classifieds – both on and offline. By exploring all your options, you are bound to find a horse that fits what you want. Here things get a bit crazy because the horse industry sometimes attracts scammers and so you need to be careful. When searching online, look for active communities of genuine horse people. MyHorseForSale.com, for example, has been in business for over a decade and has gained the trust of the horse industry as being proactive and up-to-date. After finding your potential new horse, it is important to contact your support group and have them look over the horse to make sure that it is suited to you and your needs. A veterinarian’s pre-purchase exam is essential to ensure there are no pressing medical issues apparent. A farrier will be able to assess the horse’s feet, and a trainer will be able to tell you whether they are at, under, or over your current skill level. While this all sounds complicated and drawn out at the time, you will soon find yourself with a horse that meets your needs and wants. Remember that this can be quite an emotional time, particularly if you are looking at a horse for your child. 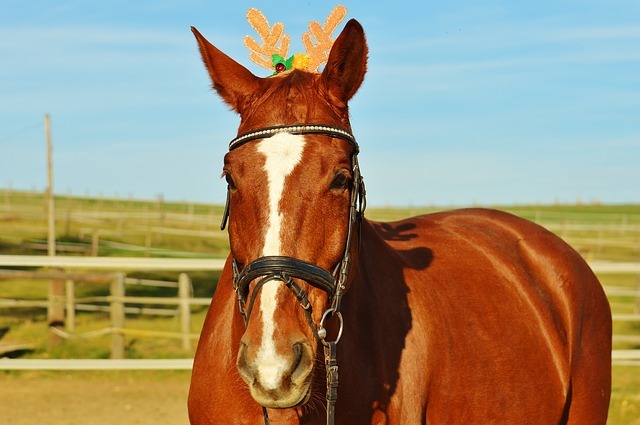 Purchasing a horse that is too far above the primary caregiver’s level or the “fixer-upper” often leads to disappointment and can be very dangerous depending on the horse that ends up chosen. By choosing carefully, you will have a companion who will give their all that you and your family can learn on and grow with.